We will be taking bookings from May 1st 19. 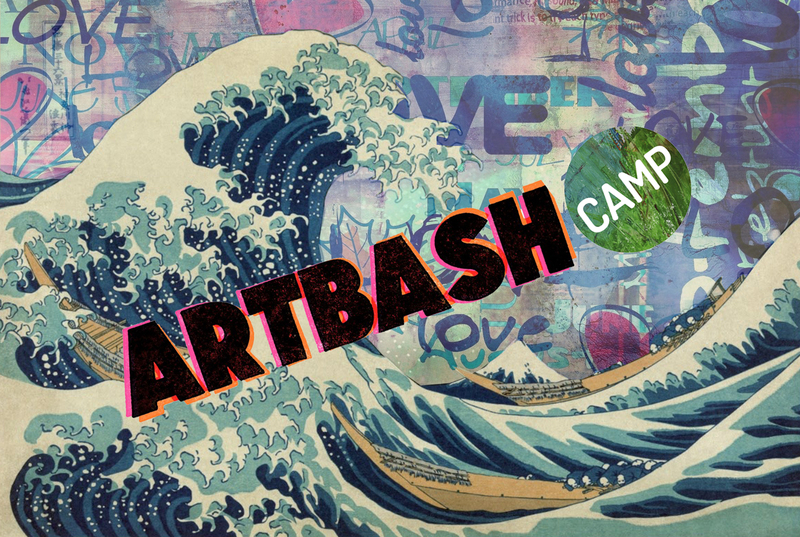 ARTBASH camp is a repeat programme running Monday – Thursday. *We will be taking booking for one week only per child, otherwise your child will be repeating activities. Again this summer we will be at our base, the Old School Rooms at the Round Chapel, so we will have lots of space to create! Young artists will develop their creative skills through a programme of imaginative workshops with our theme being ‘Ocean’ allowing our imaginations to take us on an amazing underwater journey. The days will include several activities, experimenting with exciting new materials and developing ideas in their own sketchbook. On the last day of the camp, our young artists will showcase there work in an exhibition and host a private view for all to see. Children will be divided into two age-appropriate groups. ‘Doodle’ ages 5 – 7 years and ‘Sketcher’ ages 8 – 11 years. There will be a maximum of 20 children per group. Workshops will be run by experienced workshop facilitators and professional artists. There will be some messy, outdoor workshops and we plan to picnic lunch in the park (Clapton Square) daily. Children will need to bring a packed lunch and be dressed for mess! Booking details to follow shortly! We will require full payment or a £50 deposit to secure a place and balance payment by 10th July. Extended Hours – This year we are offering creative drama/dance from 3.30 pm – 5 pm for a limited amount of children. (Monday – Wednesday only). This will be charged at an extra £15 and will require pre-booking. Please do not make a payment unless your place has been confirmed. * Please note that deposits and fees are non-returnable unless you experience unforeseen circumstances. In these cases, you will be charged a £10 administration fee. In previous years we ran……. The week was all about the animal! It was probably our best year yet we loved it! We had an amazing camp with the children learning lots of different artistic skills and understanding the meaning of curation. We had an engaging exhibition at the LUBOMIROV / ANGUS-HUGHES gallery E5. We linked to the Museums Exhibition, Daydreams and Diaries, looking at Jacqueline Wilson books, life and inspirations. Please take a look at our fantastic pictures! We created a tropical holiday experience, creating costumes, surfboards and more. See some of our wonderful testimonials…..
“My boys did ARTBASH summer camp. My youngest is partially hearing and it was a very inclusive, understanding and safe place for him to be. And most of all it was FUN! “My daughter loved her ARTBASH summer camp and I loved hearing the incredible fun and creative stories she came home with each day. Also, we now have a paper palm tree on our landing so for that alone, artbash was worth it. I would definitely recommend it. Minnie felt safe, secure and cared for which allowed her to get on with the serious business of making stuff! Minnie picked up many new skills which are now part of her creative process and she had a vast array of show and tell for the end of the week and was very proud showing it to us, many pieces still take pride of place in her bedroom.